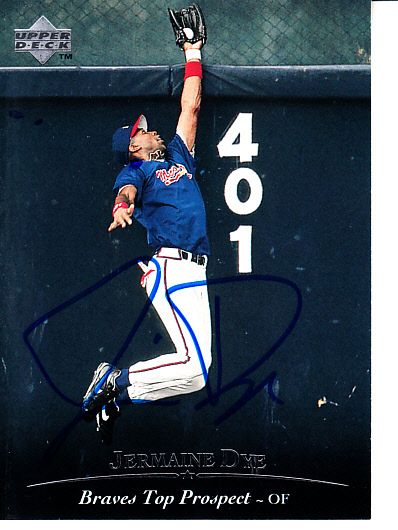 1995 Upper Deck minors baseball card autographed in blue marker by former Atlanta Braves outfielder Jermaine Dye, who went on to star for the Chicago White Sox. Obtained in person, with certificate of authenticity from AutographsForSale.com. ONLY ONE AVAILABLE FOR SALE.